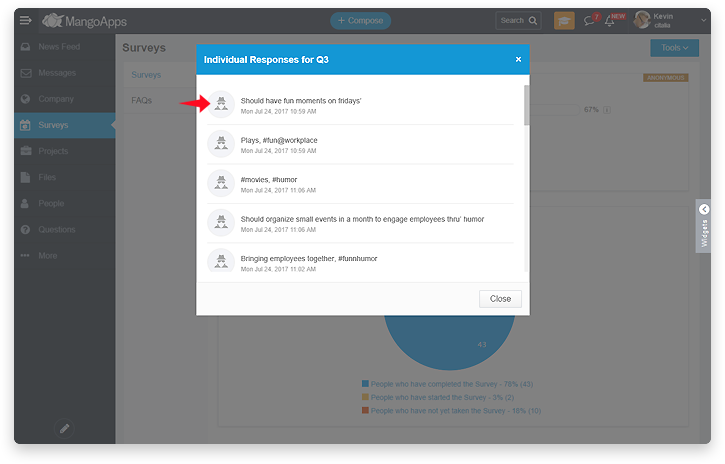 /Company Intranet /How to Create Anonymous Surveys in Mangoapps ? Organizations may want to create Anonymous Surveys as they are more likely to get maximum responses with honest and valuable answers/feedback than Non-Anonymous Surveys. The anonymity of the respondent is honored and thus encourages respondents to participate in the survey. 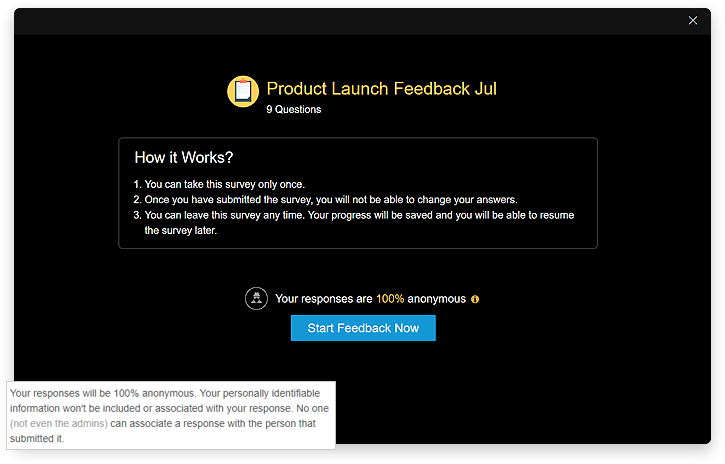 Anonymous surveys let employees express how they feel about their work, team, and company. Take action on the feedback you receive to show you care and make your employees more engaged. 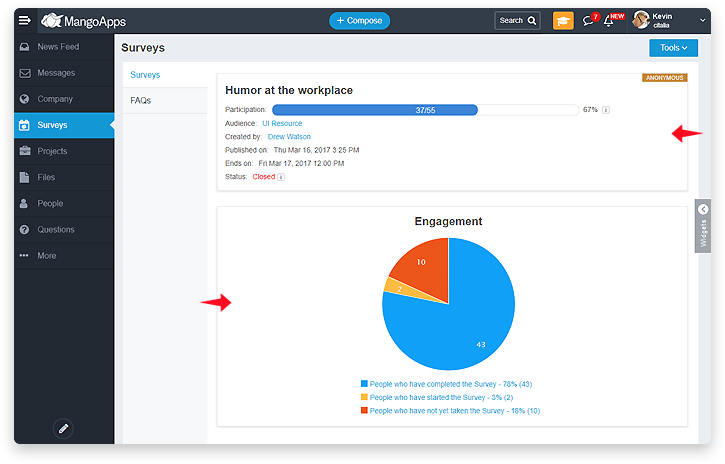 Anonymous surveys are a great tool on a secure platform for employees to share what’s on their mind. 1. Domain admin needs to ensure that the setting “allow creation of anonymous surveys” is turned ON for your network. 2. 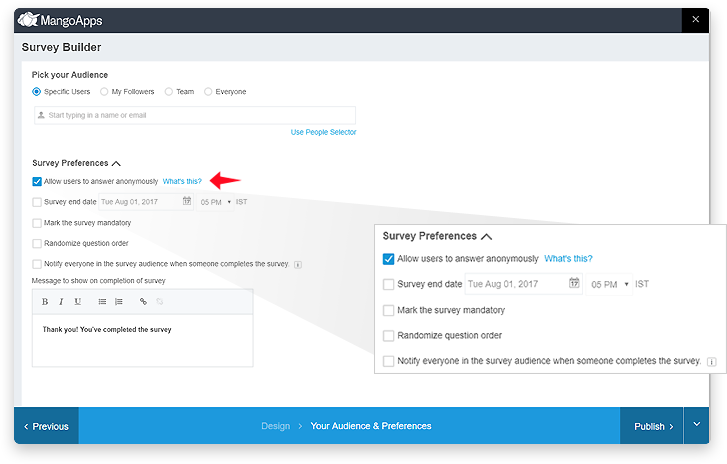 After the Setting is enabled, the user creating the survey should ensure that “allow users to answer anonymously” setting is checked before publishing the survey. 3. Once an anonymous survey is published, the user who takes the survey is told that the survey is anonymous and their personal identifiable information will not be collected, included or associated with their responses. This ensures that no one (not even the admin) can match the responses with the user who submitted them.